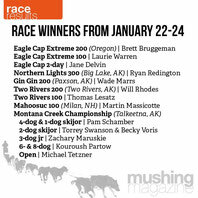 The latest news about the races and actual highlights from the Tetzner Racing Farm! Michael wins ASDRA Championchip (ehemals "Exxon") in open class. We are also happy about the new sponsor: Sponsor Cheep creek lodge! Successfull weekend on the Eagle River Classic 2016! Second Place in 8 dog class and first place in open class! Michael and his team got the first place at Montana Creek Championship 2016 in open class! Michael wins at "Su Valley Championchip 2016" in open class. Thanks to all sponsors! 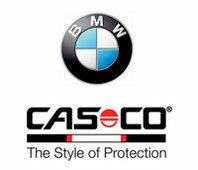 We would like to thank our sponsors BMW Hamburg and Casco for still believing in us and their sponsoring. The famous people magazine IN published two pages about Leonie and her family. If you want to read the article, please click here or on our press-site. The german newspaper "Hamburger Abendblatt" wrote a huge article about Leonie, Michael, Doreen, the farm and ICEPAW. Please took a look at our press-site. 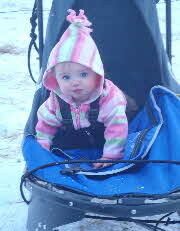 We are pleased about our little offspring on the Tetzner Racing Farm - now playing with puppies is the most important. Always the upcoming season in sight, the planning begins. 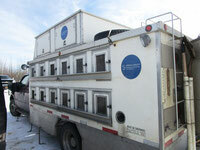 For the next stay in Alaska, we welcome our new Dogtruck with fully insulated boxes. We attach particular importance to the care and well-being feeling of our dogs. We are glad to be home again after the great season. 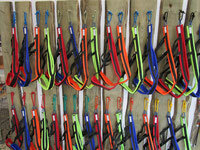 The work-off of the racing dogs now is the program and the young dogs will be trained. After that first follows the summer break with lounging in the spacious outlet. Our season yield you see in the picture. 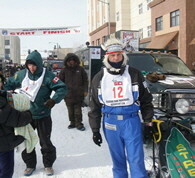 The Great North Pole Championship race has been mastered at tieften snow conditions, extreme cold and a heavy snow storm. The rankings can be seen. Michael 1st place in the 10 dog class, Doreen 4th Place (8 seconds to third place in the 10 dog class with only 8 dogs) and in the 6 dog class place 4. Leonie has reached after three exciting days with Waldorf the 2nd place at the Junior North American Championships - and even drove the fastest time. We are very proud of Leonie. After this the last race of the season in TOK takes place. For Michael, the dream of victory has come true at the race in TOK. Michael won the 61st TOK Race of Champions - one of the Triple Crown as first German in the open class. 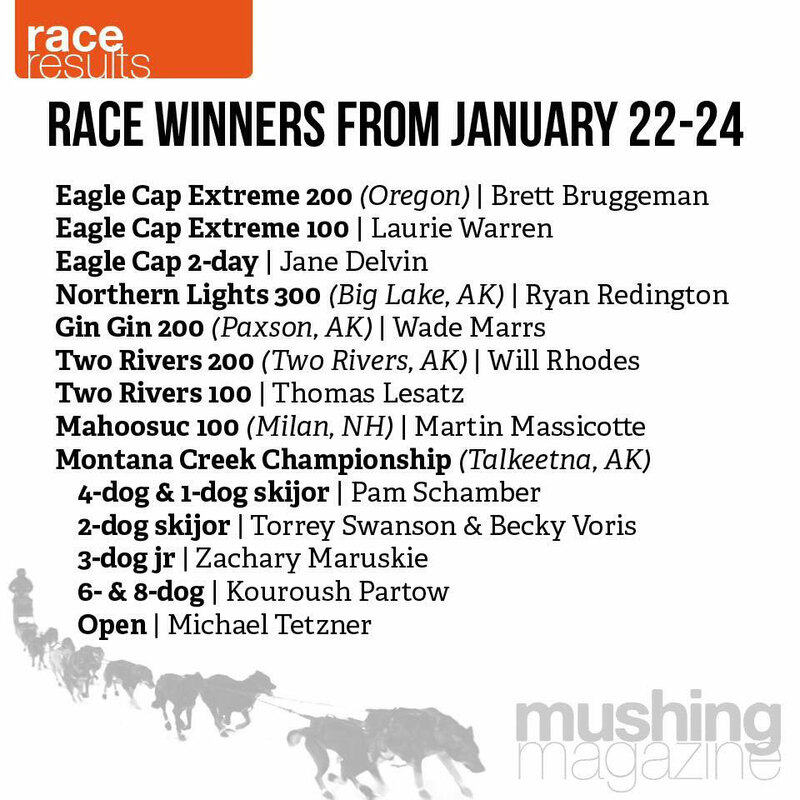 Michael wins the Eagle River Classic in the premier class and holds the 3rd place in the 8 dog class. Doreen wins 2nd place in the 6 dog class and 3rd place in the four dogs class. The running season has begin in Anchorage. Michael: first place in 8 dogclass and open. Doreen: 6 dogclass: first place and 4 dogclass: second place. Arrive in Calgary with our 32 top athletes, a lot of equipment, as well as Michael and doghandler Joey. The adventure in alaska begins. We're starting to prepare the dogs at the district from Don and Faye - our longtime friends in Canada. 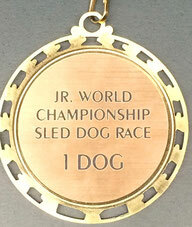 The goal of every doghandler is the Tozier Track in Anchorage. We are excited about our new Doghandlerin Joey. The adjustment period for her is very short. The autumn training has already began and the rides at the bike already started too. Michael reached the bronze medal in the premier class at the European Championships in Finland, as well as the 3rd place at the World Cup. 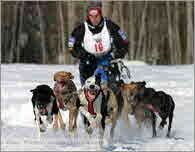 Michael took part of one of the toughest sled dog race in the world the La Grande Odyssée in France. His assistants (doghandler) are this time Doreen and his 3 year old daughter Leonie. 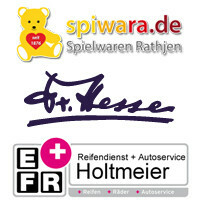 Spielwaren Rathjen from Itzehoe, Reifendienst Holtmeier from Marne, Dr. Hesse from Hohenlockstedt. We received our now dogtrailer from GLA-WEL. They build it according to our specifications. It is conform to the latest animal protection laws. There is space for 36 dogs in spacious double boxes with sliding doors for space freedom, ventilation in all boxes and additional ceiling ventilation which is separately switchable. Likewise, with a large ramp to get on and off. Plenty of room and comfort for all the equipment, as well as a lounge with a bed for long days of training in winter. While the training in autumn this space is intended to convey the training device (Quad). The trailer is equipped with underfloor lighting and facilitates the out let of the dogs in the dark. It is a very comfortable sleep for our top athletes on four legs. Back from Alaska. The Puppies are happy. Michael was able to reach the 3rd place and IFFS World Cup the 7th place in the Raven Electric. 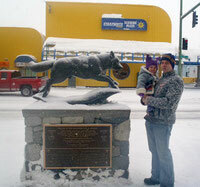 On 21/01/2013 we finally travel to Alaska. At Tetzner Racing Farm all dogs are busy with training. The Tetzner Racing Farm is happy to welcome the BMW branch in Hamburg as a sponsor. Sat1 was a guest on the Tetzner Racing Farm. 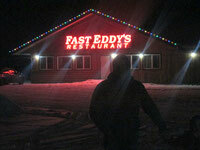 The Tetzner Racing Farm thanks Holiday Inn Express in Anchorage and Fairbanks for the great sponsorship. Please go there in summer and enjoy the region. The Tetzner Racing Farm is on their succusslfull way up and could reach a third and a fifth place in the Norwegian Championship. It will be interesting to the World Cup. 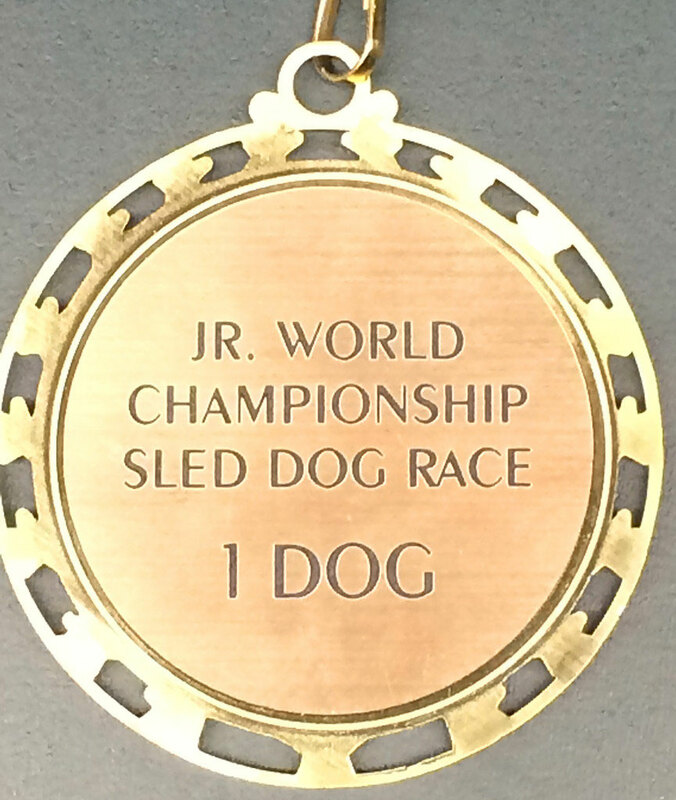 Also, we put a team in the six dog class for Nikki Seo - our Driver from South Korea. Leonie (pictured left) discovered her passion for mushing just as well as her father. 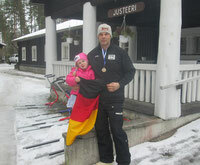 Michael has won in Hamar in January 2011 the European Cup run. Maybe the success of feeding and Forza10 Kronch Pemmican is thanks to. The 2009/2010 season is the most successful since we started. In addition to our sporting achievements we now look forward to the human and animal offspring. Holiday Inn Express in Anchorage is our new sponsor. Because of the comfortable accommodation for man & dog we could now enter four victories in a row up. We received many congratulations from all around the world because of our success, especially by almost of all participants from ONAC. It happend in March. I had the honor to drive the second team from my friends of Streeperfamily . 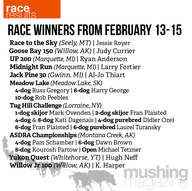 Through much preparatory work and diligence I managed to deny the only one with 14 dogs the third day and to prove at the end of the so-called "second string" a respectable 10th place. Because of my plan I was the first team that came among the thousands of cheering spectators at goal. My special thanks go to my sponsors and my handler Nikki Seo, who traveled all the way from South Korea for helping me. 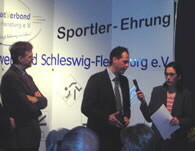 Michael will be honored next to the Olympic gold winner inhorseback riding Peter Thomsen and the Handball professional Torge Johannsen from the SG Flensburg-Handewitt for his outstanding achievements in dog sledding of 2008. 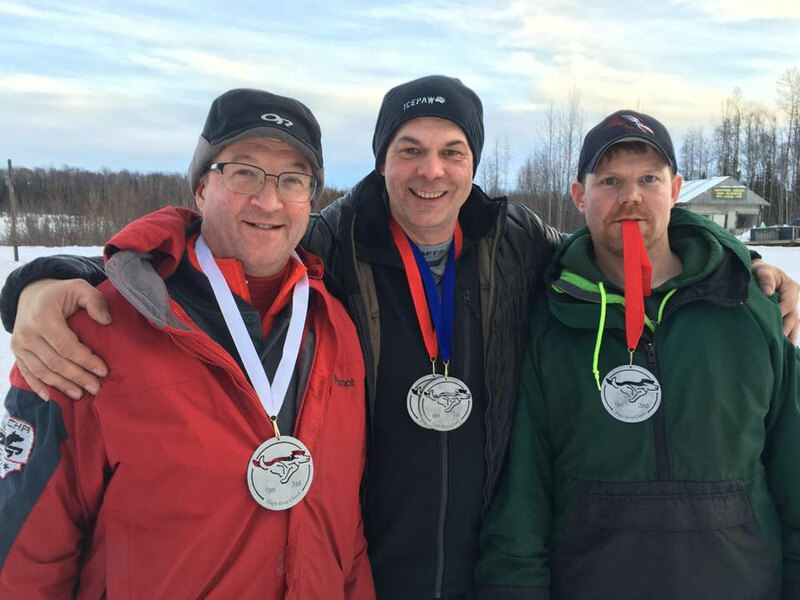 Michael wins the 10th Place at the legendary Open North American Fairbanks (ONAC) in Alaska. He finally has established itself in the world rankings. 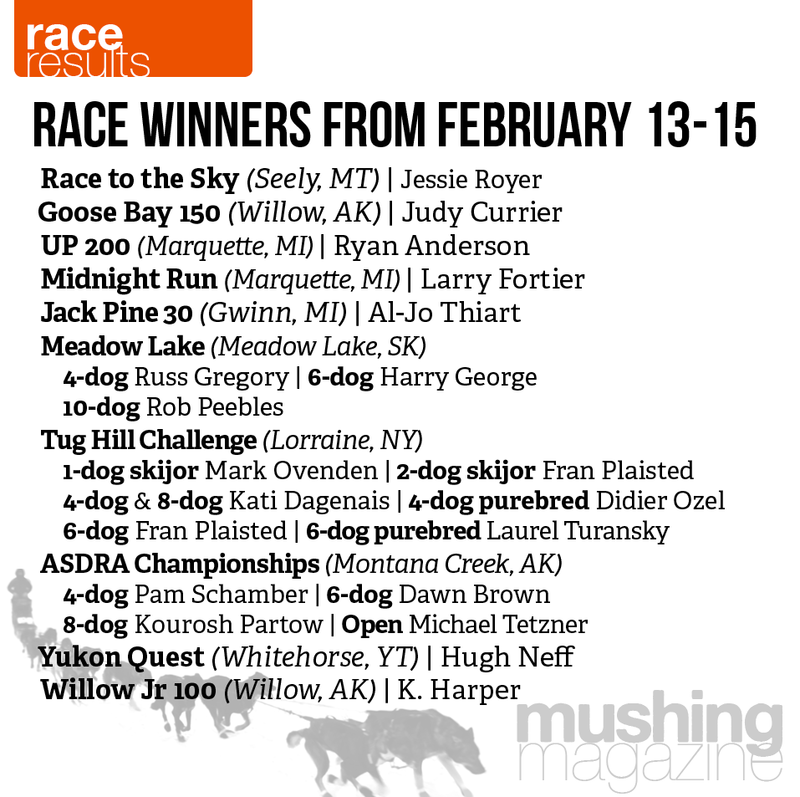 In the secret capital of dog sledding sports Tok, Michael defeats the ONAC winner Terry Streeper in the same month in the Race of Champions . Michael is represented with six pages in the current glossy magazine "dogs" issue 1/2009. Great report!